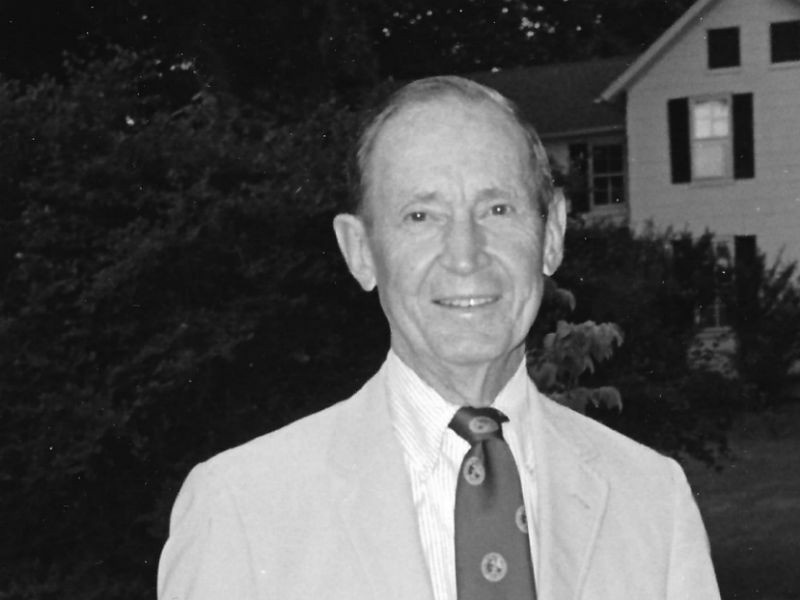 To honor Mr. William D. Waxter’s legacy gift to Preservation Maryland to underwrite the William D. Waxter Memorial Internship program, the names and dates of Waxter interns will be permanently recorded in Preservation Maryland’s records. William D. Waxter at a Preservation Maryland event. William D. Waxter, III served on the Preservation Maryland Board of Directors from 1989-1995 and again from 1997-2003. Mr. Waxter served as Treasurer, chair of the Revolving Fund and Grant Committees, and was the 1996 recipient of the George T. Harrison Award for Outstanding Volunteer Contributions. In addition to the invaluable time, expertise, and leadership he gave to Preservation Maryland, he was also a generous financial contributor. He provided the seed money for Preservation Maryland’s Colleagues Program and the lead matching gift for the National Trust for Historic Preservation’s Partners in the Field grant. Upon his passing in 2013, Mr. Waxter left a generous bequest to Preservation Maryland. The proceeds of this bequest are used to underwrite the William D. Waxter Memorial Internship program. Preservation Maryland hopes that Waxter Interns will become lifetime supporters of historic preservation and Preservation Maryland, will keep the organization informed of their academic and career successes, and carry with them a dedication to service. 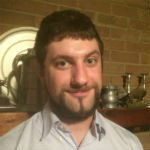 Benjamin Egerman is soon to complete his Master’s of Library Science from the University of Maryland, College Park, where he has focused on LGBTQ archives and librarianship, and is happy to be working with Preservation Maryland’s LGBTQ+ heritage project. He is interested in exploring the ways history can be used to inspire and assist LGBTQ+ communities and people today – and has long been an activist archivist. In his free time, he enjoys watching bad movies, reading good books, and finding weird stuff on the internet. 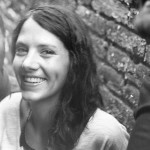 Rachel is a born and raised Baltimorian who is currently pursuing an MA in Museum Studies with a Certificate in Digital Curation from Johns Hopkins University. While at Preservation Maryland, she will be processing digital images and updating standards as part of the digital archive project. In addition, she hopes to create a digital curation policy for Preservation Maryland. 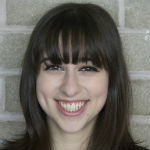 Rachel holds a BA in History from American University and a MA in Jewish Studies from University of Maryland-College Park. In her free time, Rachel enjoys photography, crocheting, and visiting museums and historic sites. Melanie has a Bachelor’s degree in Psychology with a minor in Anthropology from Towson University. After a career in social work and a stint in boutique retail management, she decided to return to her first love: American history. 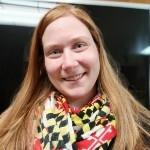 Melanie has joined Preservation Maryland via PreserveCast. Melanie also shares her architectural photography of Baltimore’s historic buildings at The Baltimore Print Shop on Instagram. When not writing or shooting in the city, Melanie also spends her free time researching the intersections of fashion history, architectural history, and environmental psychology. 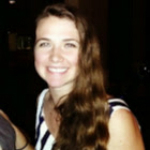 Kate is from Seattle,WA and goes to Goucher College where she studies Spanish, Historic Preservation, and Environmental Studies. 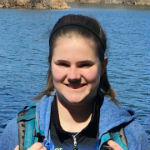 In the future, she hopes to make national and state park history and resources more accessible through language translation. At Preservation Maryland she continues the digital archive project by researching, processing, and making accessible its vast digital image collection. Additionally, within this project she is researching historic places and State Parks, like Cunningham Falls State Park, that are visited more frequently by the Latinx community. Ty Skieky is an architecture intern documenting project sites across the state with Preservation Maryland to produce a series of drawing binders and proposals for adaptive reuse, including Malone’s Church. While his studies gravitate towards contemporary work, he firmly believes in the significance of being contextually sensitive, socially aware, and technologically sustainable — all of which he finds in historical preservation. 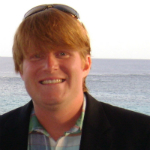 Ty has also worked on archaeological landscape mapping in the American southwest to preserve scared viewsheds and interned at Mark Mobley Architecture in Roland Park. He currently majors in architectural design at the Maryland Institute College of Art with works featured by both the college and the AIA. Ross recently graduated from the University of Maryland, Baltimore County with a B.A. in History. Currently, he is working on a comprehensive resource guide for rural preservation in Maryland as part of our work with the Rural Maryland Council. He also writes for the Preservation Maryland blog. His academic interests include ancient history, military history, architectural history, and public history. 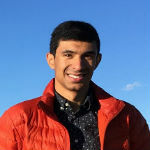 He hopes to continue his studies at the graduate level and beyond, and eventually pursue a career at a historical trust/society, museum, or even as a professor. In his free time, Ross enjoys sports (Go Ravens and Caps! ), video games, spending time with family, and continuing to learn more about history. Maggie recently graduated from the College of William & Mary with a B.A. in American Studies. 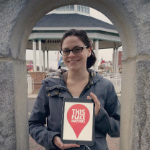 Currently, she writes for the Preservation Maryland blog and posts events on the website. Her academic interests include historic foodways, immigration history, and public history. This past summer she was a curatorial intern at the Southern Food and Beverage Museum in New Orleans, where she researched foods of the southern Atlantic coast for an upcoming exhibit. She hopes to continue her studies at the graduate level, and eventually pursue a career in the museum world. In her free time, Maggie enjoys photography, biking, and consuming Old Bay in large quantities. Kyle has always been proud to call himself a Maryland native. 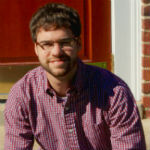 Kyle has a BA in Communications and History from Virginia Tech and a MA in Social Studies Education from Loyola University Maryland. His preservation interests include documenting the historical and cultural significance of sacred places, adaptive reuse, and the intersection of historic preservation and community development. 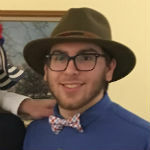 He currently writes material for the Preservation Maryland blog and events pages of the website, assists with grant writing, and is planning to write new histories of some of Preservation Maryland’s past projects. In his spare time, Kyle enjoys playing guitar, photography, and seeing old stuff – from browsing used book stores to touring historic buildings. Matt is working closely with the Maryland Commission on Indian Affairs, the Cultural Resources Division of Anne Arundel County and the Lost Town Project to participate in open digs at the Pig Point and River Farms sites near the Jug Bay Wetlands Sanctuary, and will analyze, compare, and contrast, the lithic stones and shards left behind by indigenous people as they made tools found on both sites. Matt’s research will be presented to the Commission, detailed on the Preservation Maryland blog, and will translate to earned credits to complete his degree in Environmental Sustainability at the University of Baltimore. Carson has joined Preservation Maryland to craft an outline of the history of preservation in Maryland, and to begin researching LGBTQ historic sites in Maryland potentially eligible for historic recognition in partnership with the Rainbow Heritage Network. 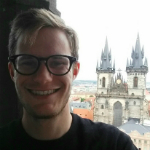 Through his education and travel, Carson has learned about sympathetic adaptive reuse practices and how to preserve the spirit of place, specifically his graduate research focused on the reuse of churches as museums. He is a graduate of Colgate University and the New York University in London. Kurt is working with Preservation Maryland to recognize historic business in Maryland, starting with coordinating historic happy hours and community memory collections at the historic Chesapeake restaurant in Baltimore. Kurt also currently works with the collections at the Baltimore Museum of Industry and at a small fire history museum that he helped form. He also volunteers with the Box 414 Association Mobile Canteen Service of the Baltimore City Fire Department. Kurt has a degree in Environmental Design, and most recently in 2011 he graduated from the Maryland Institute College of Art in photography and will be shooting historic sites and some of our upcoming events throughout Maryland. Kacy has been working as an intern to research and write about past preservation projects in Maryland, including the role of Preservation Maryland’s revolving fund in saving critically endangered historic sites around the state. 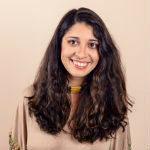 She has previously worked in climate change and community development advocacy, and holds a B.A. in Political Science from Dickinson College. She is currently pursuing a dual master’s degree in Community Planning and Historic Preservation from the University of Maryland. As a communications intern, Rachel has been drafting blog posts and calendar events, especially to celebrate National Historic Preservation Month coming up in May. Rachel holds a BA in History and International Relations from University of Maryland, Baltimore County and will begin graduate work in Historic Preservation at the University of Maryland next fall. She looks forward to the prospect of a career in protecting the physical representations of our history and heritage. She enjoys traveling to historic sites abroad and is actively engaged in studying Russian and Romanian languages. She lives in Severn with her husband and their three Siberian huskies. Cynthia is creating a strategic plan and implementation schedule to continue to provide access to Preservation Maryland’s archive of architectural and preservation resources thought a collaboration with Digital Maryland, the state hub of the Digital Public Library of America. She has previously worked with an array of cultural institutions, including the Maryland State Archives and Towson University Special Collections and Archives. Always passionate about the continuing relevance of history and historic sites in modern life, she studied history at Goucher College and will begin a graduate degree in public history in fall 2016. Originally from Cleveland, Cynthia now calls the diverse Upper Fells Point Historic District of Baltimore home. Ellen is currently researching the planned community of Columbia, Maryland, for contextual historic information to inform an upcoming summer tour hosted by Preservation Maryland and the Columbia Archive. Ellen grew up in Columbia and believes that her upbringing in the historically diverse Columbia has shaped her passion for social justice work within the field of public history and she hopes to channel that passion into her future work as a public historian. 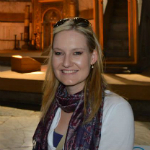 Ellen is currently an MA candidate at Loyola University Chicago studying Public History.